Valentine’s Day will be here before you know it, which usually calls for numerous couples to scrambled to find the perfect gift. This can be tough if you’re on a budget or you simply don’t want to buy into the commercial aspect of this holiday. Luckily, there are lots of great things you can do for your partner to make Valentine’s Day an occasion to remember. You may even find these easy to follow ideas a great way to make every day Valentine’s Day. Before you know it, you’ll have eliminated the stress of this holiday, so you can easily find the romance you desire without the price tag. We all lead pretty stressful lives, which can cause a lot of tension to build up throughout the body. If you really want to make your partner happy, ditch the flower and give them a massage. You can even have a shared massage experience, where you take turn massaging each other, or you work together. There are so many massages to choose from, which can help the two of you learn more about your bodies. You can use oils already found around the house or purchase some on sale to help improve your intimacy throughout the year. You might also do a bit of research to learn more about massage techniques so you can really up your game. Your partner will feel a lot better, which will make your romance even more enjoyable as the days pass. This might sound like a simple activity, but you’d be surprised as to how much it can spark a relationship. Cooking requires you to work together and communicate which can help create a stronger foundation for even older relationships. Cooking together also allows you to bond over something you both love, a meal. You can cook foods that speak to both of you, so you have a fair collaboration to work with. When the meal is done, make sure to sit down and eat together. It’s best to remove distraction like the television, but some mood music never hurts. This will help make the conversation and bonding experience last even longer. If you want to make the meal even more romantic, then make traditional romantic foods like chocolate covered strawberries or make foods easy to eat with your fingers and feed each other. Instead of spending money on items that are going to be tossed out in a few days, you might want to spend your time concentrating on your memories. These rich elements of your life will help spark warmth and happiness every Valentines Day. Try to spark up a conversation about your first date or your favorite date. You can also talk about first impressions and when you fell in love with one another. Talking about your romance story will help you feel closer together and will remind you how much love you share with each other. This is bound to make you both feel great, which isn’t something no present could one up. Music can be a key to your romance, which is why it is one of the best gifts for Valentine’s Day, anniversaries or any time you want to appreciate your love for one another. Years ago, you may have made mixed tapes or CDs for each other, where today things are too busy for such things and technology has changed the way you listen to music. You might take a step back in time and burn a CD though, if you still have the technology to do so. Try to think of songs that you listened to while you were dating or simply those that remind you of your partner. If you can’t burn the playlist then share it on your favorite steaming device. If you can, listen to the playlist together and dance to spark even more romance. You’ll love communicating in this way so much that you might take to making a playlist as often as you did when you were younger. New activities are actually a great way to spark a connection between a couple. Not only is expanding one’s horizons good for the individual but doing so with someone else instantly adds a bond to the couple. Thus, if you’re looking to make Valentine’s Day great, you should spend the time doing something you haven’t done before. This doesn’t mean you have to spend a fortune on skydiving or bungee jumping or even seeing a movie. Instead, think outside of the box. One great way to satisfy this activity without spending a penny is to volunteer. There are charity programs like Habitat for Humanity that will allow you to build a house together for a family in need. You might also consider cleaning up a park, mentoring children or visiting a nursing home. These activities will bring out the best in your personality while also ensuring you create a bond that you’ll be able to remember until you are old. One of the keys to maintaining your relationship is to continue to show affection. It is important not to hold back on hugging and kissing, even when you aren’t feeling lovey dovey. This human contact is actually great for your health. In fact, you need a certain number of hugs each day to maximize your health, so make sure you hit your quota! General affection is a great way to keep the bond between you and your partner going strong though. On Valentine’s Day, you might consider cuddling on the couch with your favorite movies or TV shows. This will allow you to improve on your connection without spending a dime. This is a more realistic form of love opposed to the giant teddy bears and huge boxes of chocolate that the commercial world might have you believe in. If you have trouble finding the time you need to bond with your partner, then make a commitment to walk together. One of the easiest times to pencil in this activity is after dinner, which will actually help to boost your health anyway. Walking after a meal helps with digestion and burns excess calories. It’s also a great way to unwind. Of course, when you walk with a partner then you’re giving yourself the perfect time to talk. You can catch up on your day, thoughts and feelings and so much more. If you want to add even more love to the walk, then hold hands. You might be surprised as to how this helps your relationship. Valentine’s Day is the perfect time to try out the activity too. If you find your relationship getting a bit stale, then you can really add some spark by leaving notes for your significant other. If you want to start this on Valentine’s Day, then stock up on sticky notes and get to work. You can hide the notes to make them even more special or you can keep it obvious by placing them in areas you know your partner is going to find them. One great place to hide a note is your partner’s lunch, as it will give them a burst of joy in the middle of the day. You can also place one in their car to help remind them how much you care. If you’re not sure what to write, then check out some romance puns or love quotes to share how you feel. This small effort is certain to create joy. It is traditional to give roses or bouquets of flowers on Valentine’s Day. Unfortunately, these items can cost a fortune, particularly during this time frame. Instead of spending a lot of money on flowers that won’t live past the month, you might consider purchasing a plant. Around this time, you should be able to find lots of options that will look great in your garden. You might have to store them in a planter inside for a few months, but the plant should still offer a touch of beauty and freshness for your partner to enjoy. The plant will help provide beauty for years to come, which is bound to increase the joy in your life. If you want to save even more money, then buy seeds instead. You can start the plants off inside and grow them from almost nothing together. This can bring even more romance to the gift. Of course, one of the best things you can do is skip Valentine’s Day altogether. This holiday can add a lot of pressure on a relationship, especially if people compare your holiday to other’s. Instead of buying into the commercial aspect of the holiday, make it a point to share your love for one another every single day. This will help each partner feel appreciated in the relationship opposed to having to build up for one day. Holidays like Valentine’s Day can be fun, especially when you’re just starting out, but as the years pass it is more important to keep your love fresh in your mind daily to keep the relationship thriving as you pass milestone after milestone. With Valentine’s Day on the horizon, you might feel pressured to spend a fortune. These tips will hopefully help you take a step back so you can reduce your spending budget during this occasion. 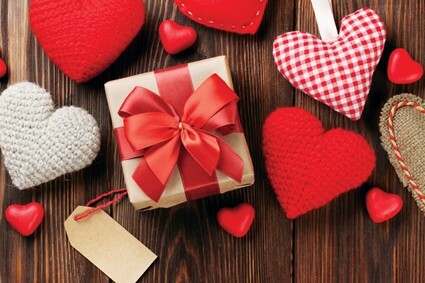 Whether you’re a fan of Valentine’s Day or not, you are certain to find a few ways to show your love with these tips on your side.